With plans to diversify its economy, the Thai government has made structural reform a national agenda and has launched several important initiatives. One of the initiatives is the development of the Eastern Economic Corridor (EEC) in a bid to develop its eastern provinces into a leading ASEAN economic zone. A major focus of the EEC is to improve existing connectivity and foster manufacturing and innovation, with extensive infrastructure investments to support transport, logistics and public utilities. Public expenditure is significant, with the 2017/18 budget allocating BT1.08bn ($30.4m) to the Department of Rural Highways for roads upgrades. Motorway Route 7 designates motorways heading east, equivalent of sections of the Sukhumvit Road. This motorway has been extended by about 100 kilometres to reach Pattaya and the master plan indicates a desire to extend the route to Chantaburi via Rayong, 291.9 kilometres from Bangkok. Connected to Cambodia, this route is used for the daily transfer of goods from Laem Chabung Port to other regions such as Chonburi, Chachoengsao and Rayong. The high traffic usage would mean timely renovation of the motorway to ensure the safety and comfort of motorists. 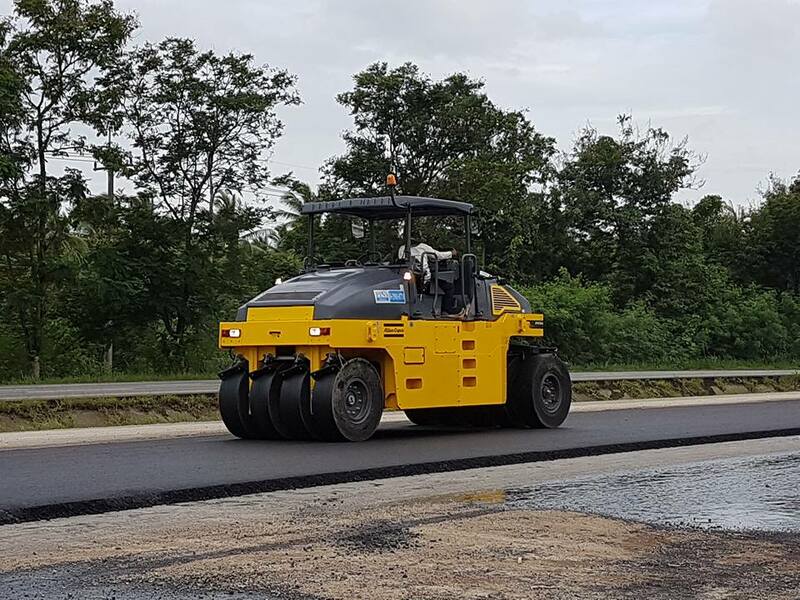 Siripriboon Pattanakarn Co., Ltd. is the sub-contractor for motorway projects in Thailand, with the Bang Yai-Kanchanaburi Motorway construction project being planned for next year. They utilised Dynapac Paver SD2500CS and Rollers CP275 in the resurfacing of the motorway route 7. The Dynapac SD2500CS has a high number of rollers inside the tracks to improve the maneuverability on curves. The Alpha tracks make more ground contact for better traction and longer life. It also comes with a hydraulic anti-shock push roller that avoids the typical marks on surface due to truck docking. 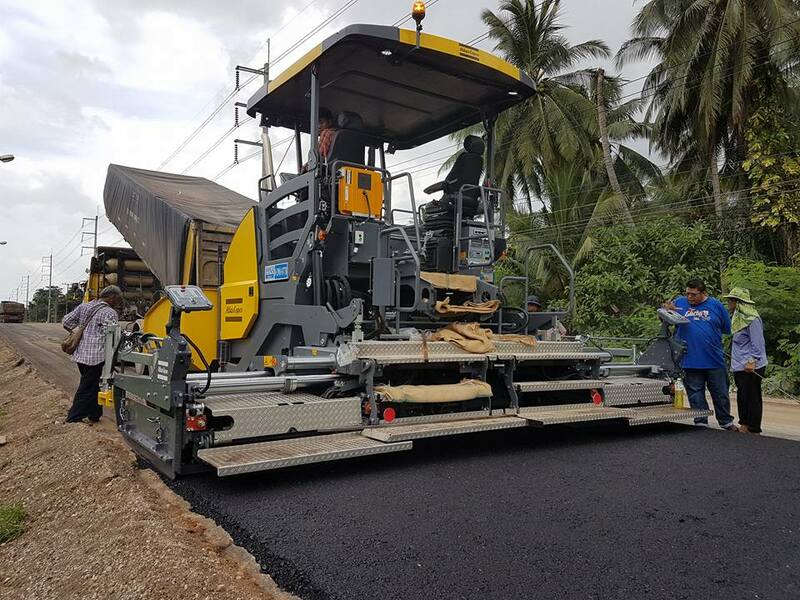 With the four guide tubes patented screeds and the auger with its compact inner drive unit to minimise material segregation, Dynapac pavers are easy to operate and more productive on the road. Dynapac SD2500CS was able to achieve amazing pavement quality from the first stretch of the track. Compaction is precision work, especially compaction near the edges. The Dynapac CP275 Rollers have nine wheels: five steered oscillating front wheels and four traction rear wheels. Both sides of the Dynapac CP275 tyres are wider than the frame, thus yielding excellent compaction performance, sparing customers the need for a smaller roller. In addition, the hydraulic propulsion system increases reliability and reduces maintenance costs. The wide base tyres, air-on-the-run option and back-up sprinkler of the pneumatic tyred roller further enhance the end result quality. Dynapac CP275 roller has a compaction width of 2370mm and a maximum operation mass of up to 27,000kg. 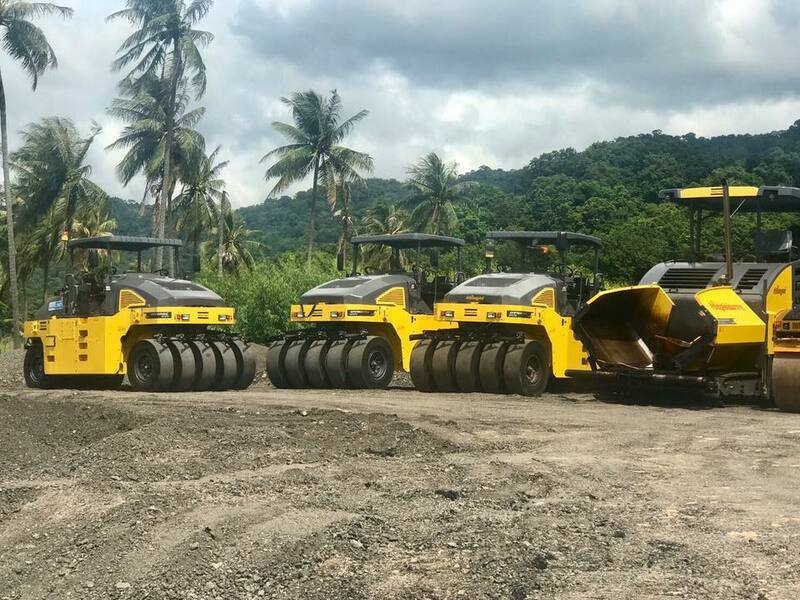 Dynapac is committed to customer satisfaction and continues to strengthen its products and distribution network in the region.